Today’s Career and Technical Centers (CTCs) oper­ate as a school of choice designed for stu­dents who are seek­ing to enhance their edu­ca­tion­al pro­gram with a high­ly rel­e­vant career and tech­ni­cal expe­ri­ence con­nect­ed direct­ly to the real world of busi­ness and indus­try. Over 400 busi­ness and indus­try advi­sors review and update the edu­ca­tion­al pro­grams annu­al­ly. The CTCs pre­pare stu­dents for mean­ing­ful careers, whether they enter the work­force direct­ly after high school grad­u­a­tion or upon earn­ing a post‐secondary degree through rig­or­ous aca­d­e­mics, tech­ni­cal knowl­edge and pro­fes­sion­al devel­op­ment. 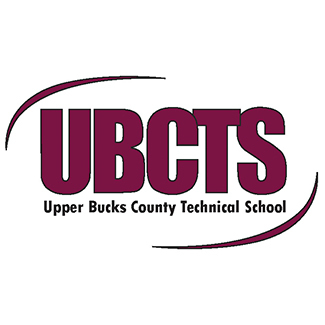 Upper Bucks County Technical School UBCTS serves more than 700 stu­dents in grades 9–12 from the Palisades, Pennridge and Quakertown school dis­tricts. We offer 21 pro­grams to sec­ondary and adult stu­dents in the fol­low­ing areas of indus­try: Advanced Manufacturing, Agriculture, Arts & Communications, Construction, Health Sciences, Hospitality & Tourism, Law & Public Safety, and Transportation. Middle Bucks Institute of Technology Middle Bucks Institute of Technology (MBIT) pre­pares both sec­ondary and adult stu­dents for tomorrow’s emerg­ing tech­nolo­gies by pro­vid­ing tech­ni­cal knowl­edge and skills to com­pete in a glob­al mar­ket­place and suc­ceed in col­lege. 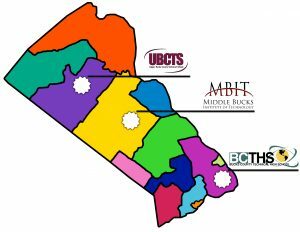 MBIT is a cam­pus of Centennial, Central Bucks, Council Rock, and New Hope/Solebury School Districts with 22 dif­fer­ent pro­grams. 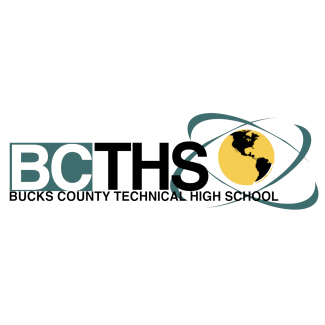 Bucks County Technical High School BCTHS is a state‐of‐the‐art, com­pre­hen­sive tech­ni­cal high school locat­ed in Fairless Hills, PA. The school serves high school stu­dents and offers 28 dif­fer­ent tech­ni­cal pro­grams. Students learn using industry‐developed cur­ricu­lum that inte­grates into aca­d­e­m­ic cours­es, mak­ing them col­lege and career ready. BCTHS also pro­vides train­ing for adults. Today’s CTCs pro­vide stu­dents with both aca­d­e­m­ic and tech­ni­cal skills to pur­sue a vari­ety of options after grad­u­a­tion that include appren­tice­ship pro­grams, degree pro­grams at two‐ and four‐year col­leges, pri­vate career schools, as well as industry‐sponsored edu­ca­tion and train­ing. A clos­er look at sup­ply and demand in the labor mar­ket uncov­ers anoth­er real­i­ty to con­tra­dict the belief that a four‐year col­lege degree is a sure tick­et to suc­cess. Professional occu­pa­tions make up only 20 per­cent of all jobs. Technical employ­ment is the fastest‐growing seg­ment of the labor mar­ket. Only 25 per­cent of all tech­ni­cal work requires a four‐year or grad­u­ate degree. The fastest‐growing piece of the high skill, high wage tech­ni­cal work­place is occu­pa­tions that require an associate’s degree.